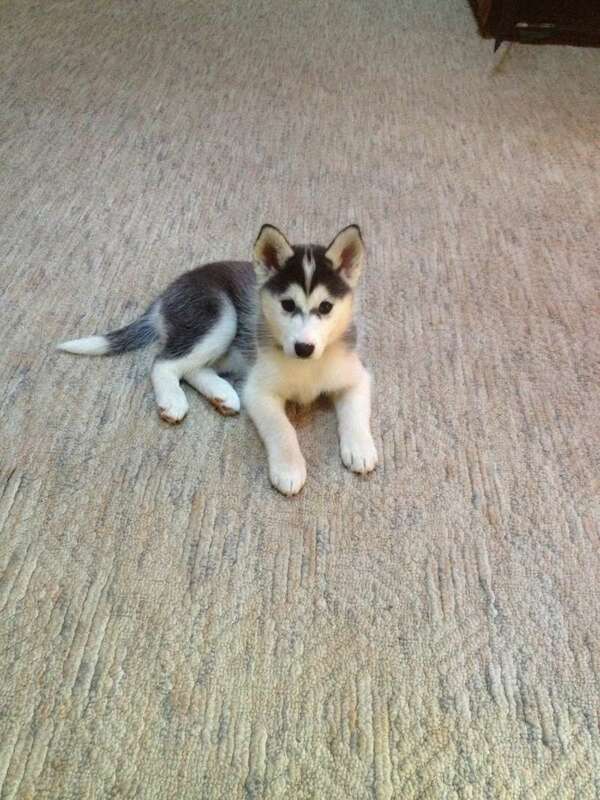 My wife and i just adopted a 9 week old husky. We went to the breeder and picked out the one we liked the most. 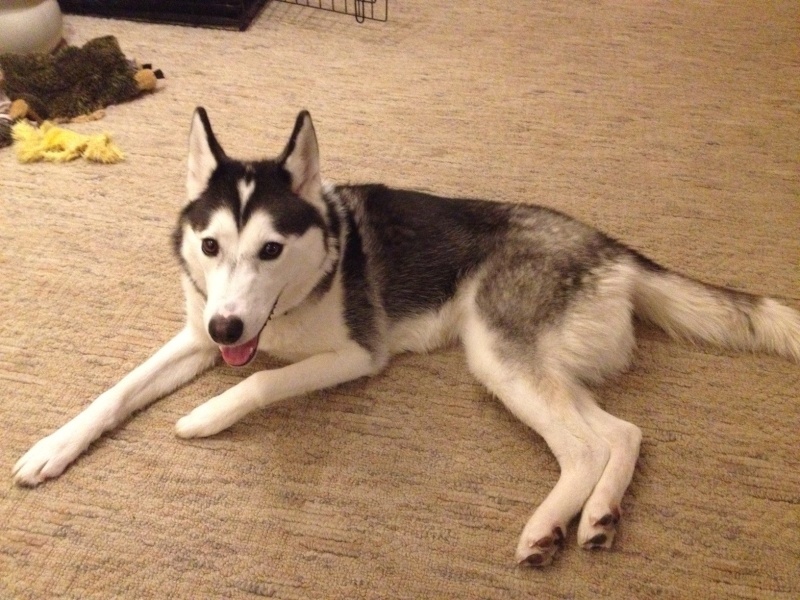 However, we are new to owning huskies and i have a few questions. WHAT COLOR does she fall under? I saw that there are like 15 types of colors they can be and I am at a loss for what she is. I also noticed while researching that there are "wooly" huskies. Can you tell if she is one? Or just a regular length hair husky. Thanks so much for all help that is given!! Titling a post PLEASE HELP! is a way of screaming to us that you have some sort of urgent emergency that needs urgent assistance. Since your post is just casually inquisitive, that wasn't really necessary. She is probably grey and white and probably not a wooly. Thanks Jeff! I changed my title per your advice! Those dark colors will most certainly lighten to a softer grey as she ages. They transform colors very dramatically in year one. She just looks normally fluffy. No where near wooly. Wooly huskies look like malamutes. At this point I'd say dilute black and white and not wooly. If your pup came from a reputable breeder, chances are it's not wooly, as it is a "fault" in the breed. Jeff's right that coat color can change dramatically as puppies grow, so what is a darker coat now will probably lighten up as the puppy gains more surface area. Some Huskies' coats even change color from summer to winter. Thanks Amy and Liz! After your comments, I am kinda thinking she is a dilute black. parts of her coat, in person, are VERY dark! Also, one of her eyes is blue and the other brown. We really love that feature about her. Is it likely that she could have the bi color eyes her whole life, or will that too probably change? When you picked up your pup, the breeder gave you nothing as far as paperwork? Her paperwork will have her color, her parents, her date of birth, etc. Your pup's coloring from what I can see in your avatar looks very similar to what my Layla's looked like when she was a puppy. Here's a comparison showing how her coloring changed from when she was a puppy to now. Jimmy: Thanks for the heads up. Her paperwork says black and white! Jimmy: Thanks and I hope she does!! Wow Liz, Layla and this pup could be twins, along with Yukon! They all have those incredibly gorgeous HUGE almond eyes. Gives them such a sweet, stuffed animal kind of appearance. Also, I agree OP's pup will likely stay bi-eyed. Subject: Re: question about new pup!! !